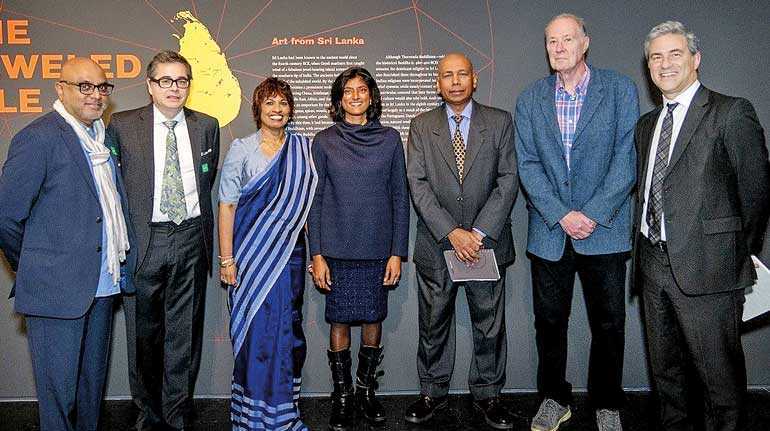 The Los Angeles County Museum of Art (LACMA) recently opened an exhibition titled ‘The Jeweled Isle: Art from Sri Lanka’, which is the first comprehensive survey of Sri Lankan art organised by a US museum. Drawn in part from LACMA’s collection of Sri Lankan art, and including numerous domestic and international loans, the exhibition presents some 240 works addressing nearly two millennia of Sri Lankan history. The Jeweled Isle presents a timely exploration and celebration of a geographically complex, ethnically diverse, and multicultural South Asian hub. The exhibition is curated by Dr. Robert L. Brown and Dr. Tushara Bindu Gude, of LACMA’s South and Southeast Asian Art Department, and is designed by Los Angeles-based architecture firm Escher GuneWardena Architecture, a partnership of Sri Lankan born Ravi Gunewardena and Swiss architect Frank Escher. Mangala Samaraweera, on a visit to the US as Foreign Minister, met with the curators and LACMA Director Michael Govan and discussed this exhibition initially with them as part of a wider Sri Lanka 70th Anniversary of Independence promotion. LACMA obliged by moving forward the exhibition by a year to open in 2018. Curator Robert Brown graduated from UCLA in 1981 with a PhD in Indian art history and is presently the University’s Professor of Art History. Since graduation he has worked at LACMA is currently curator in the Department of South and Southeast Asian Art at LACMA, a position he holds with his UCLA professorship. 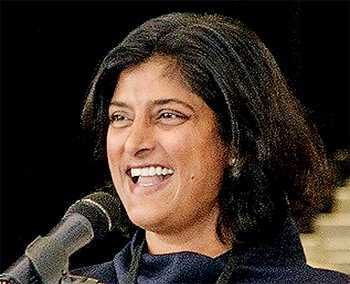 Tushara Bindu Gude is the associate curator in the South and Southeast Asian Art Department at LACMA, a position she has held since 2006 joining LACMA having served six years as assistant curator of South Asian art at the Asian Art Museum in San Francisco. Gude received her PhD in Art History also from UCLA. 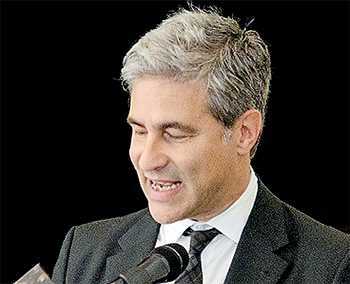 At the opening, LACMA CEO and Wallis Annenberg Director Michael Govan declared, “LACMA has a long history of collecting South and Southeast Asian art and its Sri Lankan holdings are more expansive and diverse in range than those found in any other US collection. These works are at the heart of this exhibition.” The exhibition runs till June 2019.